Baby Belleek features beautiful gifts to celebrate the arrival of a new child. The early years bring so many memories; the cherished image or collecting coins for their new arrival. Baby gifts perfectly display these memorable milestones. Made in Ireland of fine, handcrafted porcelain, Baby Belleek will become a treasured heirloom. Can you have it personalized? I notice that the picture has Catherine on it. 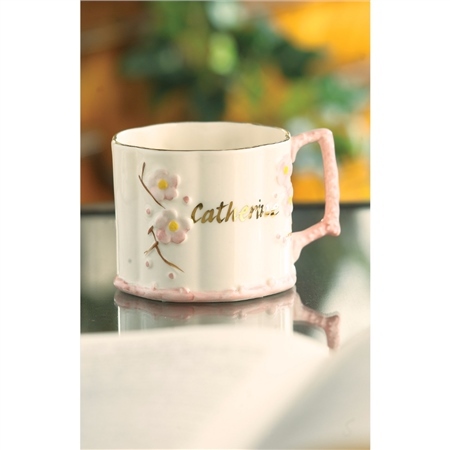 Belleek Replies: Yes, this Baby Girl Mug is available for personalisation, please contact websales@belleek.ie for more inforation. I would like one of the Catherine mugs but I would need to add LISA above Catherine. Can this be done?